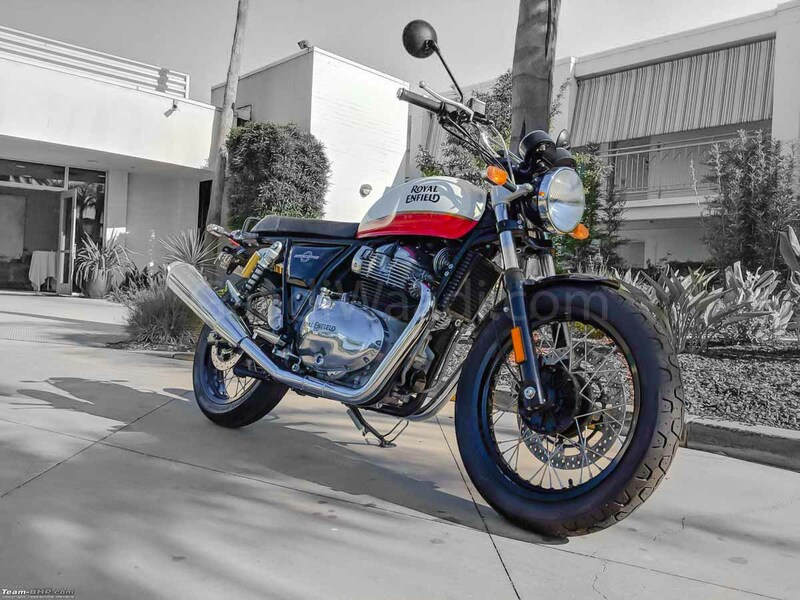 Royal Enfield launched the much-awaited and highly-anticipated Interceptor 650 and Continental GT 650 last year in the Indian market. The demand for both the bikes are increasing with time and in January 2019, Royal Enfield collectively dispatched more than 1,000 units of the bikes in the Indian market. Well, as they are powered by an all-new engine and first parallel-twin cylinder engine from Royal Enfield India, they get different maintenance schedule. Also, Royal Enfield has officially mentioned how the bike should be ridden in first 2,000 km to ensure a proper running-in of the engine. Running-in ensures the long life of an engine. As per the owner’s manual, the running period for the Interceptor and the Continental GT 650 is 2,000 km. For the first 800 km, the engine should not exceed 4,000 rpm as per the owner’s manual while till 1,600 km, the engine should not exceed 6,000 rpm. 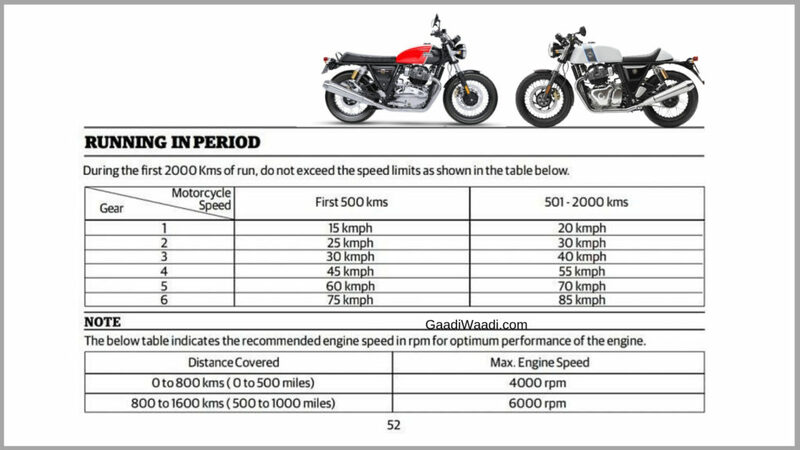 Apart from these instructions, Royal Enfield also mentions maximum speed in the first 500 km in different gears. The first gear speed should not exceed 15 km/h, second gear 25 km/h, 3rd gear, 30 km/h, 4th gear 60 km/h and 5th gear 75 km/h. After the first 500 km, the bike can go up to 20 km/h in first gear, 30 km/h in second gear, 40 km/h in third gear, 55 km/h in fourth gear, 70 km/h in fifth gear and 85 km/h in sixth gear. This has to be followed until the completion of 2,000 km. The Royal Enfield Interceptor and the Continental GT 650 get powered by the all-new 649cc, parallel-twin cylinder air-cooled engine. It develops a maximum power of 47 Bhp and a peak torque of 52 Nm. Royal Enfield is expected to launch new bikes on the same platform in the future which may include bikes like Himalayan 650 and Classic 650.